In 2018 the financial sector recorded positive developments but not without challenges. Some of the positive developments included the stability of the foreign exchange market; the increase in the financial inclusion rate, occasioned by emergence of finance technology firms, which made the increase possible. 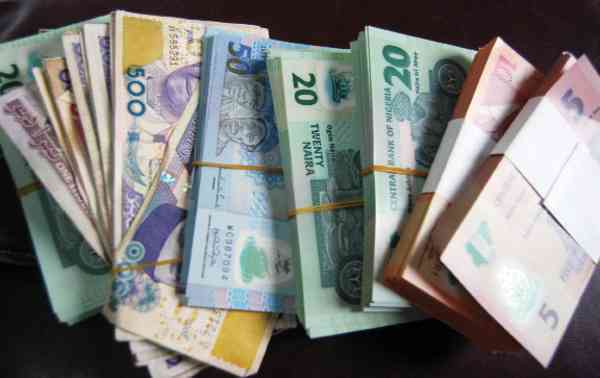 The exchange rate, which had failed to exceed N365 at the black market and N305 to the dollar at the official window were indication of a stable exchange rate. During the year under review, the increase in crude price from about 30 dollars per barrel in early 2018 to 80 dollars per barrel before declining to 52 dollars per barrel in December was a boost to the economy. The introduction of finance technology firms, into the financial space, which boosted the Federal Government’s effort to reduce the number of Nigerians, who are unbanked to about 20 per cent by 2020 was a boost to agent banking and the economy. Some financial experts said in Lagos while reviewing the activities of the financial sector for 2018 that they foresee a much lower percentage of the unbanked by 2020. Ajao said with the rise in the rate, the efforts of stakeholders in the financial industry were beginning to pay off. The experts said the Central Bank of Nigeria’s (CBN) National Financial Inclusion Strategy (NIFS) of 2012 and the CBN draft guideline on the licencing and regulation of Payment Service Bank (PSB) released in November may be a key driver of Nigeria becoming one of the world’s largest economies in no distant time. The Chairman of Board of Enhancing Financial Innovation and Access (EFINA) , Mr Segun Akerele, said about 41 million Nigerians were financially excluded with the bulk of it coming from the north-west, north-east and north-central. He noted that this formed the basis of targeting the areas that were yet to feel the impact of financial services. The President of the Bank Customers Association of Nigeria (BCAN), Dr Uju Ogubunka, said that the banks had the right to be concerned about the development. Ogubunka said that was because they know telecomm companies had the financial capability to compete with them. He said regardless of what happens later, the most important thing should be effective service delivery in order to boost financial inclusion in the country. The bank was later to be known as Polaris Bank Ltd., as a bridge institution, with the Asset Management Corporation of Nigeria (AMCON) recapitalising it to N786 billion. The Finance Minister, Mrs Zainab Ahmed in the year directed the CBN and the Nigeria Deposit Insurance Corporation (NDIC), to investigate and prosecute Directors and Executive Management culpable for its eventual collapse. However, the bank said that the aim of the merger was to create Nigeria’s and Africa’s largest retail bank by customer-base. Mr Muda Yusuf, Director-General, Lagos Chamber of Commerce and Industry (LCCI) also said the merger would boost stability and investors’ confidence in the banking system. Yusuf said the merger was a welcome development, which might have averted possible crisis in the future. The nation’s external reserve was 23.6 billion in October 2016. He, however, said that if global oil price dropped significantly below 50 dollars per barrel, the Federal Government might be forced to adjust the oil price benchmark in the 2019 budget.